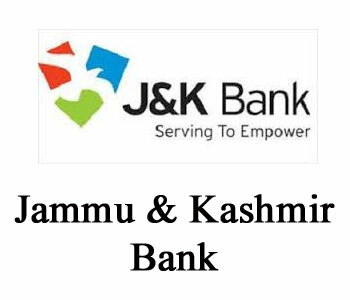 (Jobs) Jammu & Kashmir Bank : Probationary officer Recruitment-2018 | BANK EXAM PORTAL : IBPS, SBI, PO, Clerk, IPPB, Bank Jobs Aspirants Community. Reservation for Schedule Caste / Schedule Tribe Candidates are as per the Policy. The general category candidates born before 02.01.1988 & after 01.01.2000 are not eligible to apply. The Candidates will pay the requisite fee (`1000/- for General Category & `800/- for Schedule Caste (SC) and Schedule Tribe (ST) Category) to be paid through online mode. No other Mode of payment is available. Presently, the starting basic pay is `23700/- in the scale of `23700 -980/7-30560 -1145/2 -32850 -1310/7-42020 & other perks applicable to Junior Management Grade Scale -I. 1. Candidates have to visit the official website under careers link and click on the link “Recruitment–Probationary Officers 2018” and apply for the post which will open a new screen. 3. In case the candidate is unable to complete the application form in one go, he / she can save the data already entered by choosing "SAVE AND NEXT" tab. Prior to submission of the online application candidates are advised to use the "SAVE AND NEXT" facility to verify the details in the online application form and modify the same if required. 5. The Name of the candidate or his /her Father/ Husband etc. should be spelt correctly in the application as it appears in the Certificates/ Marks sheets/Identity proof. Any change/alteration found may disqualify the candidature.